With resources limited, the number of school nurses is on the decline. Is there an alternative for schools? We think so. 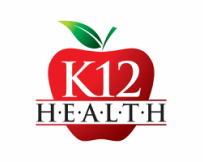 At K12 Health, we've developed a program to help schools keep students safe and healthy in a cost-effective manner. More and more students are coming to school with chronic conditions, such as asthma, diabetes, seizure disorders, and severe allergies. Having policies and procedures in place is critical to meeting the needs of these students. Utilizing a network of RN's, LVN's, Health Clerks and other professionals, K12 Health provides Care Management, Training, Policy and Procedure Development, Consultation, Vision and Hearing Screening, Health Education, Compliance Auditing and more. All services are provided under the supervision of Credentialed School Nurses. Schools assume liability when injury or illness occurs that could have been prevented but education budgets are limited and that's a real issue that's putting a lot of Administrators in a difficult position. School Nursing doesn't have to be an "all or nothing" proposition for schools - especially smaller schools. We can help your school by providing solutions and services that can be tailored to your school's specific needs.